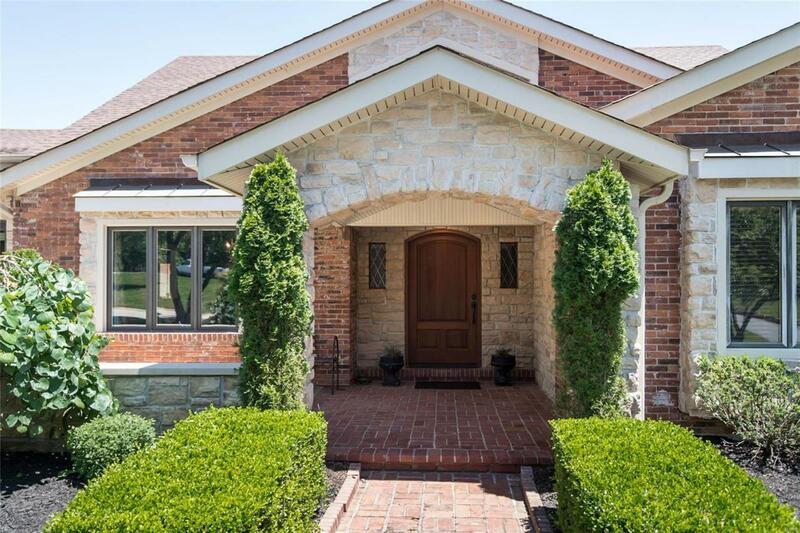 Spectacular brick & stone ranch home renovated & redesigned by Lewis Homes! 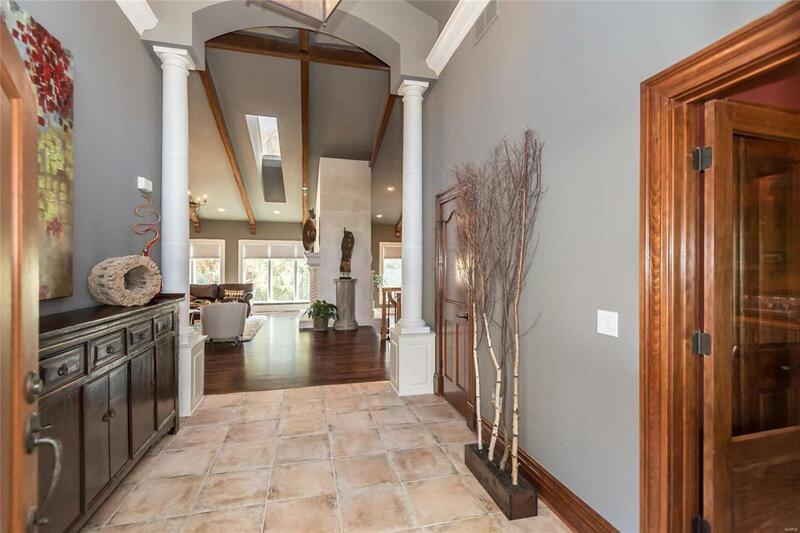 Impressive travertine marble foyer highlighted by architectural columns leads to private study with wainscoting & custom built-ins & elegant dining room. Vaulted beamed ceilings, cast stone mantels & skylights add to the appeal of the stunning great room & step-down hearth room. Chefs kitchen featuring glazed white cabinetry, granite countertops, commercial grade appliances & 2 center islands adjoins light-filled breakfast room with atrium door that walks out to terrace. Coffered sitting room opens to master bedroom suite with lavish marble bath with jetted tub, adjacent sitting room & 2 additional bedroom suites. 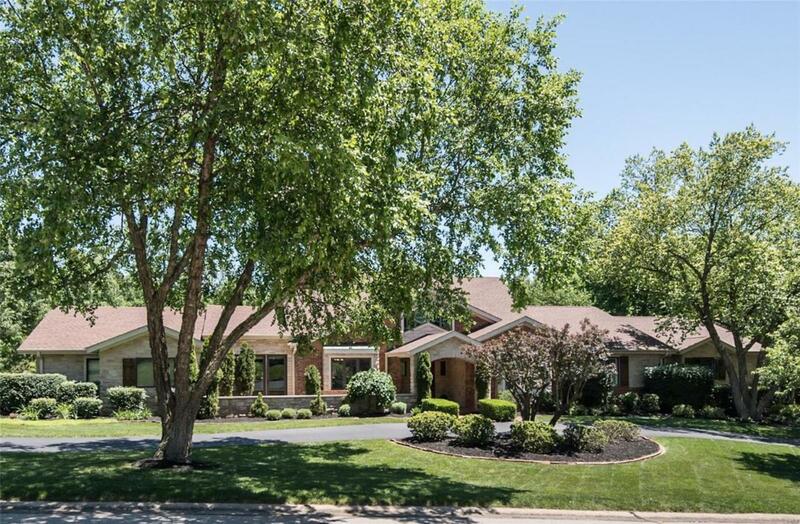 Expansive Lower Level-ideal for entertaining-includes recreation room with brick fireplace, family room with entertainment center, gathering bar & solarium plus office, workout room & guest suite. 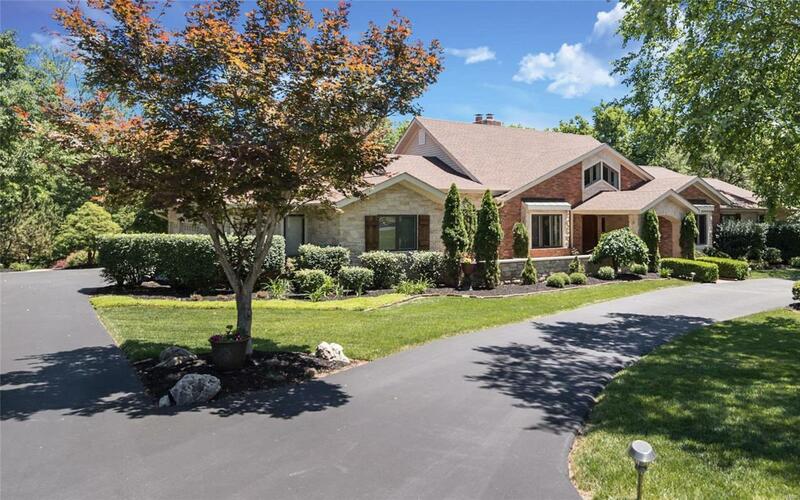 Situated on a 1+ acre cul-de-sac lot with deck & patio surrounded by landscaped gardens with waterfall.